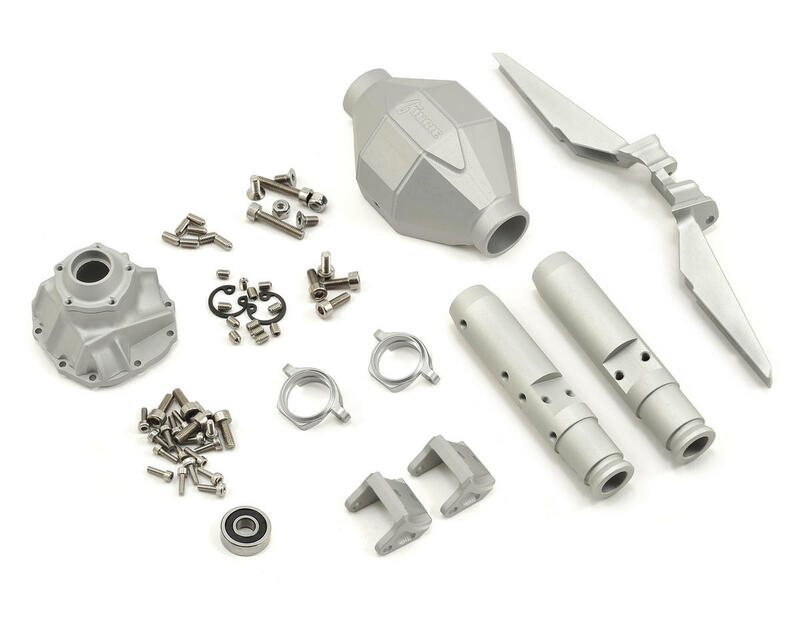 Vanquish Products SCX10 Rear Currie F9 Aluminum Axle. A beautiful combination of aesthetics and function, the Currie F9 is a must have for every SCX10 owner. Not only is this axle a scale replica of the Currie F9, it also offers the same increased ground clearance as the real F9, for improved overall performance! Additionally, the guys at Vanquish have listened to the requests of SCX10 owners and increased the size of the inner pinion gear bearing from 5x11mm to 5x14mm for improved durability. 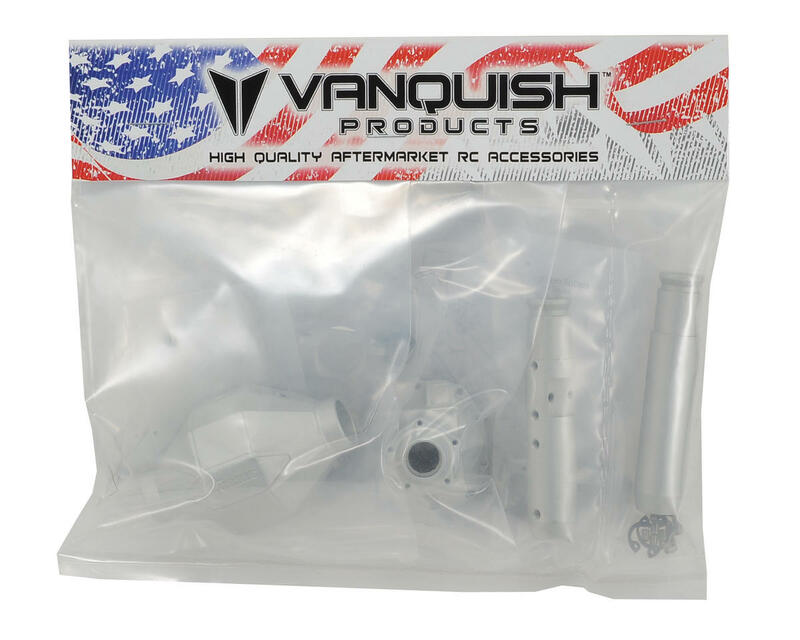 NOTE: Must use with Vanquish SCX10 Currie F9 Axle Link kit (VPS07860). Stock Axial SCX links are not compatible with the Currie F9 Axle.